1 >>Design of a two way slab simply supported on edges and having no provision to prevent the corners from lifting, is made byâ€¨ ? 2 >>For initial estimate for a beam design, the width is assumedâ€¨ ? 3 >>The number of treads in a flight is equal toâ€¨ ? 4 >>Pick up the incorrect statement from the following:â€¨ ? 5 >>For a circular slab carrying a uniformly distributed load, the ratio of the maximum negative to maximum positive radial moment, isâ€¨ ? 6 >>Bottom bars under the columns are extended into the interior of the footing slab to a distance greater thanâ€¨ ? 7 >>As per I.S. 456 â€“ 1978, the pH value of water shall beâ€¨ ? 8 >>An R.C.C. beam not provided with shear reinforcement may develop cracks in its bottom inclined roughly to the horizontal atâ€¨ ? 9 >>The effective span of a simply supported slab, isâ€¨ ? 10 >>The minimum number of main steel bars provided in R.C.C.â€¨ ? 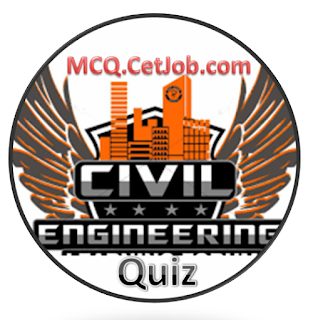 11 >>Thickened part of a flat slab over its supporting column, is technically known asâ€¨ ? 12 >>The diameter of longitudinal bars of a column should never be less thanâ€¨ ? 13 >>The width of the flange of a T-beam should be less thanâ€¨ ? (B) least of the above. 14 >>In a combined footing if shear stress exceeds 5 kg/cm2, the nominal stirrups provided areâ€¨ ? 15 >>Cantilever retaining walls can safely be used for a height not more thanâ€¨ ? 16 >>The maximum area of tension reinforcement in beams shall not exceedâ€¨ ? 17 >>The thickness of base slab of a retaining wall generally provided, isâ€¨ ? 18 >>An R.C.C. column is treated as long if its slenderness ratio is greater thanâ€¨ ? 19 >>Pick up the correct statement from the following:â€¨ ? (B) A pile is a cylindrical body of concrete which transfers the load at a depth greater than its width. 20 >>Post tensioning systemâ€¨ ?